This is a dorsal support rod for the standing male mannequins. Designed for additional support for displays where mannequin could fall off, for example outside or at places where mannequin contact might happened. The dorsal rod fits under the jacket and over the pants. The dorsal rod might also be necessary when the calve rod can not be used (high boots, puttees). 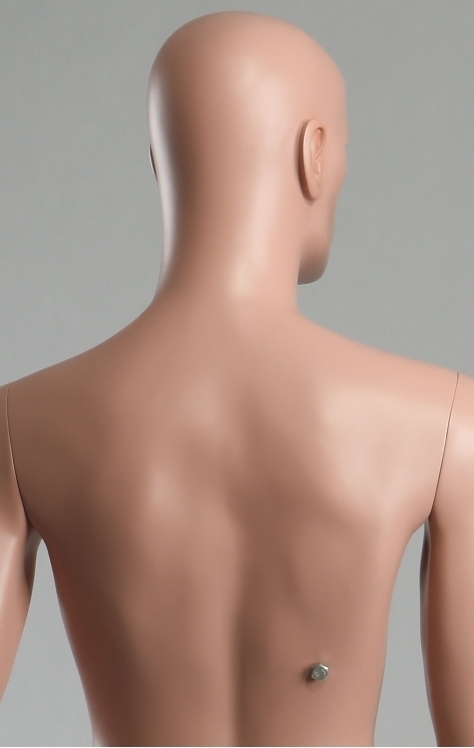 The top part of dorsal rod fastens to the standing mannequin upper back area through the use of a bolt. The bottom part of the rod fastens to the glass base that is delivered with the purchase of the mannequin. At this time this dorsal rod is only usable with the Caucasian mannequins MDP14, MDP13, MDP08, MDP09 and MDP12 and the Japanese mannequin MDJ01 manufactured after December 2015. 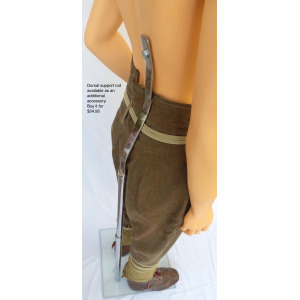 The dorsal rod can be used with other standing mannequins assuming that you make the necessary modifications to attach the rod. NOTE: all the dorsal bars currently in stock have been increased in length to fit the height of the attachment point on the Caucasians mannequin.